This strip is a reply to Chicken brain, Bissuness-Man Brute, The Zombie that delights everyone!, Ha has risen! 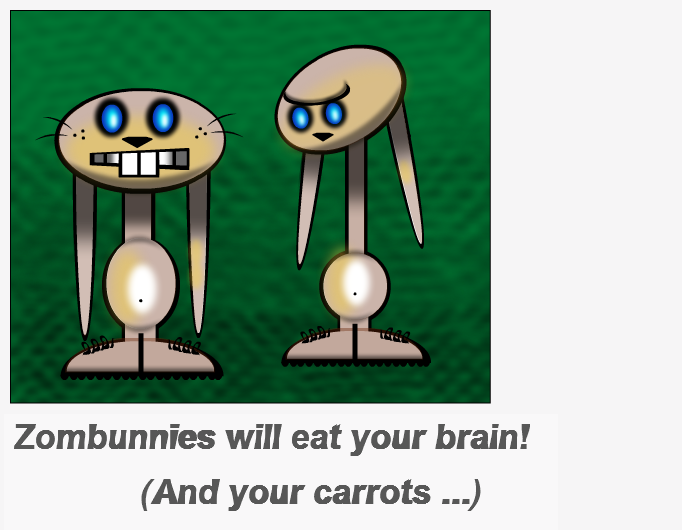 Zombunnies will eat your brain! Another good reason to keep your brains in the crisper when you aren't using them. Conga on sunny side up!